With the announcement of the recovery of the complete six part Series 5 serial, The Enemy of the World, the BBC has released a trailer for the story. Although not yet for sale on iTunes Australia, the story is available for download on iTunes UK and USA. The Enemy of the World is for the first complete Troughton era Doctor Who serial to be recovered since The Tomb of the Cybermen was unearthed in Hong Kong in 1992. With the announcement of the recovery of five episodes of the six part Series 5 serial, The Web of Fear, the BBC has released a trailer for the story. Although not yet for sale on iTunes Australia, the story is available for download on iTunes UK and USA. A reconstruction of the still missing episode three has also been released. On Day 50 of The Doctor Who Mind Robber’s Countdown to Doctor Who’s 50th Anniversary we published our list of the Ten Most Wanted Missing Episodes. Not all episodes are as highly sought after as others and unfortunately there are a limited number that many fans have little or no desire to see returned. Our list of those sad and sorry stories that pine for some respect is provided in broadcast order only. The first broadcast of our least wanted missing stories is the Season 3 opener, Galaxy 4. 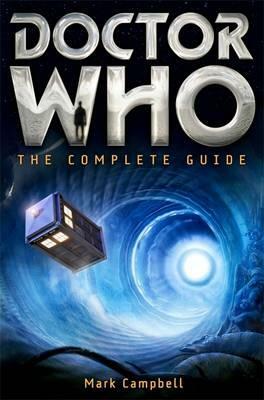 Until November 2011 none of the story’s four episodes were held in the BBC Archives. 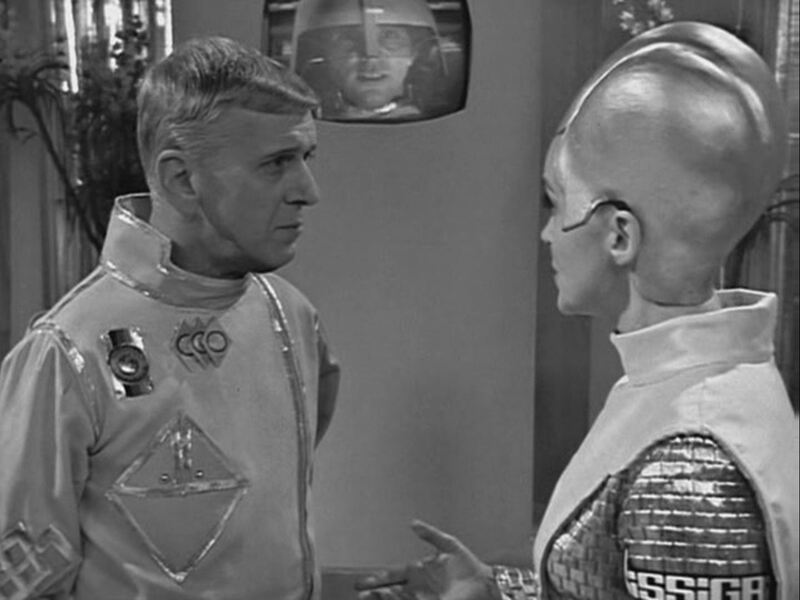 Upon episode three’s discovery, a reconstruction of the serial was produced and included as an extra in The Aztecs Special Edition. The recovered episode was included in the reconstruction. Although the resident monsters of the serial, the Rill and the Chumblies, are generally well regarded the story is nonetheless frequently discounted by fans. In The Discontinuity Guide (1995) Paul Cornell, Martin Day and Keith Topping’s “Bottom Line” was that “Galaxy 4 presents an interesting if flawed twist on the traditional bug-eyed monster tale”. Arguably it is most probably the presence of the chief villains, the Drahvins, which is the cause of most distain for Galaxy 4. 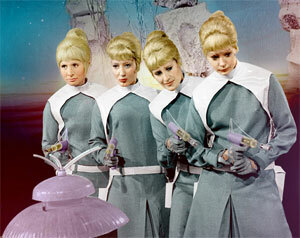 Personally I found the concept of a female dominated, anti-male race of aliens absolutely enthralling. It’s for that reason that I rated the serial so highly in my own marathon watch. Below is an example of one of the recent anti-Galaxy 4 tweets. The diversity of Doctor Who fandom is one of its greatest strengths. 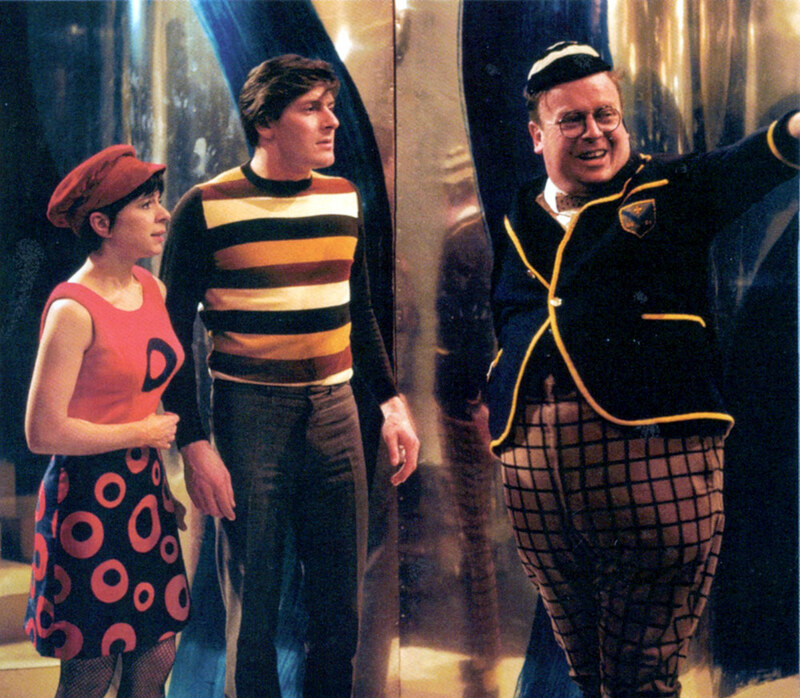 Prior to the recovery and release of episode four The Celestial Toymaker was held in reasonably high regard. 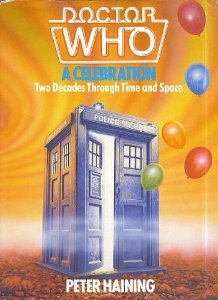 In Peter Haining’s 1983 coffee table book, Doctor Who A Celebration, Jeremy Bentham waxed lyrical about it. The success of this story lies in the way if visualises a child’s nightmare – the secret world of toys from the nursery coming to life, harmless games that insidiously graduate into something far more sinister, smiling, happy faces concealing deadly menace. In short it was a perfect fairy-tale of the kind told by the brothers Grimm – a multi-level fantasy appealing to young and old alike, but strangely being more disturbing to adults than to children. A weird, and at times plodding, excursion into pure fantasy (some might say whimsy). Not as interesting as its reputation might suggest. I found the story engaging and fascinating. 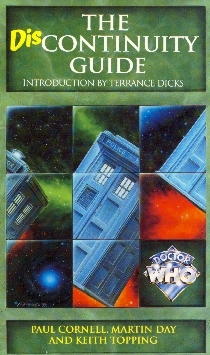 The concept of a world of make believe in which the characters are compelled to participate in childish games in order to retrieve the TARDIS is both sinister and surreal. 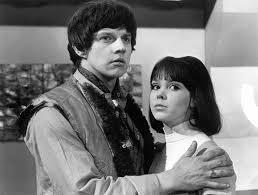 That I’m a great fan of the Second Doctor’s The Mind Robber probably evidences my idiosyncratic tendencies. Both serials have a similar edge about them. ‘I could feed you to my pet octopus – yes? … I, too, have a sense of humour!’ At least Joe Orton got a kick out of watching Frazer Hines in episode four of this story. To find out more about the Joe Orton/Doctor Who connection I suggest you read this blog post. 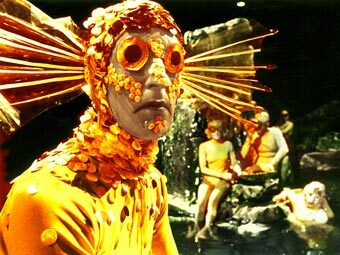 In my marathon review of The Underwater Menace I successfully found some merit in the story and ended my article by stating, “ The Underwater Menace is a fun romp and nowhere near as bad as its reputation. Watch it with an eye for the ridiculous and you won’t be disappointed”. 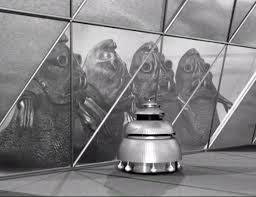 As a great fan of the companion Zoe I nonetheless enjoyed The Wheel in Space. There can never be too much Zoe. 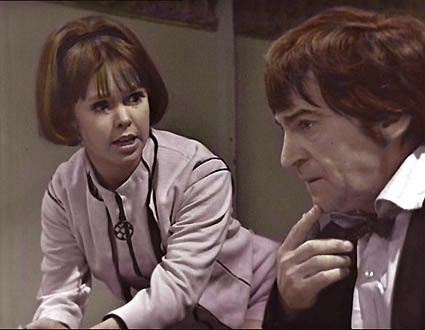 Coming in at 195 in the 2009 Doctor Who Magazine Mighty 200, The Space Pirates has the unfortunate reputation as the least popular Patrick Troughton era Doctor Who serial. It is also the last story that is missing from the BBC Archives. Being totally bereft of any telesnaps, and having a muddy and almost inaudible fan saved soundtrack, Loose Cannon’s reconstruction of The Space Pirates does not make for very engaging viewing. So bad was it that I had great difficulty reviewing the story. I was, however, impressed by Madelaine Issigri’s fabulous metal hair and Zoe’s hotpants! The only episode held in the BBC Archives has been released on the Lost in Time DVD.